It’s such a simple phrase, most often said without much thought of any greater meaning. But for women who are victims of domestic violence, conditioned to think no one will believe them, or that they somehow brought some horror upon themselves, those three little words can be life-changing. Ezekiel Elliott’s six-game suspension, announced Friday by the NFL, has the potential to be transformative, and I’m not referring to the Dallas Cowboys’ Super Bowl hopes. 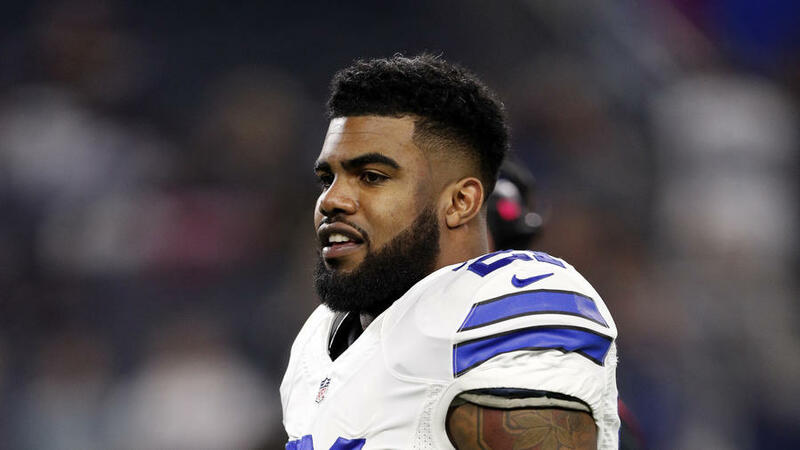 In its letter to Elliott, one of the league’s brightest young stars, the NFL made it clear that it believed the woman who had accused him of domestic abuse. It didn’t matter that prosecutors had decided not to bring charges, a sadly common occurrence in domestic violence cases. Nor did it matter that Elliott had disputed the allegations, trashing his former girlfriend and her credibility in the process. It didn’t even matter that Jerry Jones, arguably the most powerful owner in the NFL, had tried to use his influence to affect the outcome of the investigation. After a thorough and extensive investigation, the NFL came to a simple, yet powerful conclusion: It believed her. “Based on the entire record, the credible evidence establishes that on multiple occasions during the week of July 16, 2016, you used physical force against (the victim) resulting in her injury,” Todd Jones, the NFL’s special counsel for conduct, wrote in the letter explaining Elliott’s suspension. The impact of the league siding with a domestic violence victim cannot be overstated. Yes, understanding of domestic violence has grown in the three years since the Ray Rice fiasco, and attitudes toward victims are improving. But there is still much work to do. Too many cases go unreported or unprosecuted because of a lack of evidence or a fear of not being believed. (Funny how no one demands a video of the break-in when a robbery is reported.) Too many people still assume that domestic violence is someone else’s problem, certain it couldn’t happen in their community, in their circle of friends, in their own home. Too many women still live in terror, for themselves and for their children. Too many women are still dying, an average of three each day. By doing a thorough investigation — the league consulted with two medical experts about “the causation and aging of certain injuries” and there were over 100 exhibits, including “thousands” of text messages and other electronic communications — the NFL sent a message that domestic violence is to be taken seriously, and that the accused isn’t the only one who deserves the benefit of the doubt. “They have a commitment to their players, to treat the players fairly and evaluate any evidence against them fairly,” said Kim Gandy, president and CEO of the National Network to End Domestic Violence. For years, the NFL put women in harm’s way with its decisions and actions on domestic violence — or inactions, as was too often the case. Players busted for DUI or drugs often face harsher consequences. Even after all of the promises Commissioner Roger Goodell made in the aftermath of the Rice debacle, the NFL suspended New York Giants kicker Josh Brown for all of one game last year — this despite knowing his wife had told police she’d been abused more than 20 times and its own security having to step in at the Pro Bowl after Brown showed up at her hotel room. But Elliott’s suspension, and the league’s commitment to giving his accuser a fair shake, is a positive and welcome change. Nothing in this country commands a bigger spotlight than the NFL, and its decisions have the power to drive conversations and influence opinions. Maybe the NFL’s decision, and its reasoning for it, will give a woman the courage to report her abuse or leave her abuser. Maybe it will make those so quick to blame the victim pause to consider that she might be telling the truth. “Whenever a sports organization — whether it’s the NFL or Major League Baseball or the NBA — takes serious action backed up by evidence in a domestic violence case, it raises the profile of the issue,” Gandy said. The NFL told a domestic violence victim it believed her. Why shouldn’t we?